Discussion in 'Android Apps & Games' started by Benny879, Dec 19, 2009. 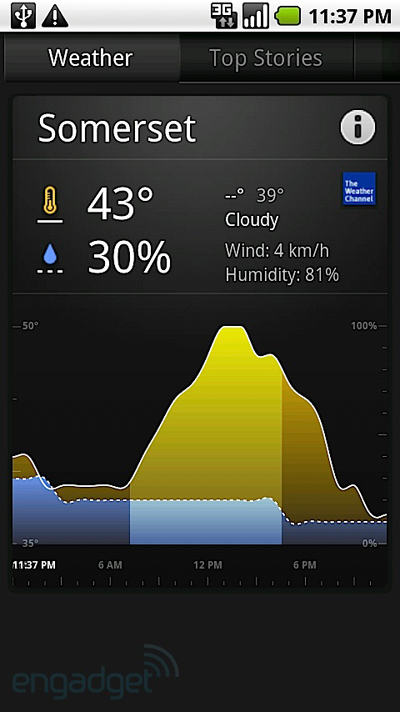 Some of you may have seen the pics for the Google weather/news app/widget for Android 2.1 that was running on the Nexus One. Well some hackers pulled the .apk file off that phone and now have it available for us Droiders. I put it on my phone and it works great. The news app is really cool. 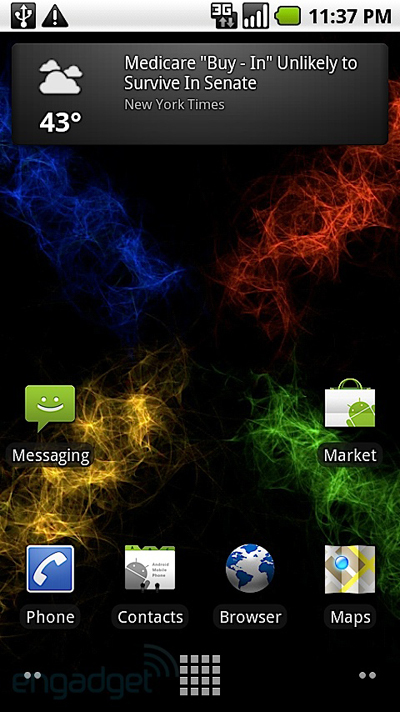 You can create custom news topics such as "Android" or "Mobile News". Link to the actual post? I couldn't find it. 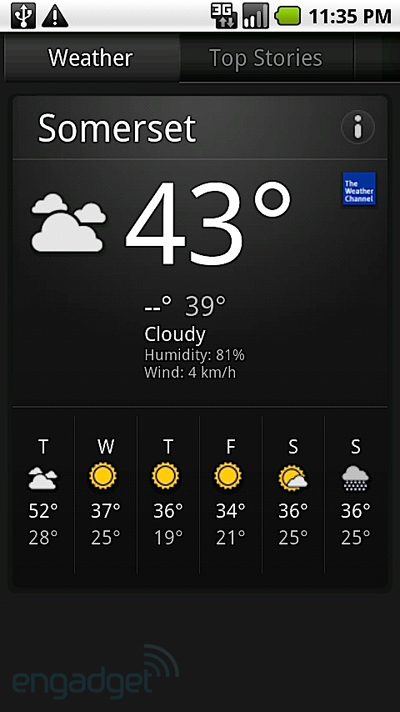 Nice... Its to bad that Im stuck with weather bug...,Shoooooot Here comes the SNOW! Download the .zip file, rename the extension to .apk, and transfer it to your phone. You can use a file manager such as Astro to install it. what part exactly do you need to rename? Sweet, I can now remove the weather widget. Ugh, I hate having to make a million message board accounts all over the internet that I'll never use again just to download one file. Agreed. Can anyone post this on rapidshare/demonoid/whatever. I hate making forum accounts just to download stuff and view .jpg's. Enjoy guys. I installed it and I absolutely love it. Not sure what you mean. I see weather icon, current temp, city, "snow", and high/low. Looks the way it should. Just to be clear, I can download this link directly to my phone as long as I check the box to allow downloads from places other than the market. Cool...thanks for the links. Interesting app...I already have beautiful home so don't need the weather, but like the news portion. EDIT: Nevermind... I uninstalled it and reinstalled it. I think it had something to do with not finding my location properly. Now it's okay. Very cool, just installed, I like it alot. Weather Channel app is gone!